For anyone that’s followed the Georgia basketball program closely for a long time, last night’s game was the typical kick to the groin. This is Georgia basketball. Don’t get me wrong, I don’t think the sky is falling. Mark Fox is doing a great job with the Georgia basketball program. But the Hoop Dawgs have always struggled to reach prosperity. And the few times they have actually reached that point, it gets snatched away in what seems like an instant. Last night, Georgia battled back from a late deficit to force overtime. 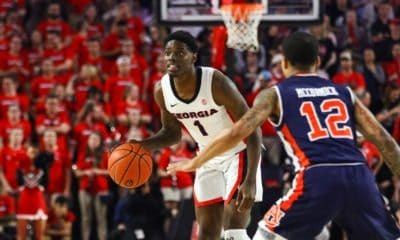 With Georgia leading by three in the OT, Florida’s Erving Walker hit a desparation three-pointer from about 30 feet at the buzzer. The shot stunned the Dawgs and it showed in the second overtime as Florida won by 13. After winning at home against Kentucky on January 8, Georgia was ranked (AP Poll no. 24) for the first time since the 2003 season. Since being ranked, the Dawgs have lost three of their last five games. Two of those games were at home. To me, Georgia basketball has always been a series of highs and lows with not much in between. Who can forget the 1995-96 team coached by Tubby Smith that made it to the Sweet Sixteen of the NCAA Tournament. Syracuse’s Jason Cipolla hit a fall-away sixteen-footer at the end of regulation to force overtime. Then John Wallace crushed Georgia’s dream of the Elite Eight when he nailed a three-pointer as time expired to win by two. Georgia’s 1996-97 team also made it to the NCAA Tournament, only to be upset by UT-Chattanooga in the opening round. After successfully rebuilding the Georgia program, Tubby Smith left for Kentucky and Ron Jirsa was promoted to head coach. Jirsa led the Hoop Dawgs back into mediocrity. In 1998, the Dawgs finished 16-14 and lost in the 3rd place game of the NIT. The final dagger for Jirsa came after the 1998-99 season when Georgia was eliminated by Clemson in the first round of the NIT. In 2000, Georgia turned to Jim Harrick to lead the program back to the NCAA’s. He did that in his first season but lost to Missouri in the opening round. The following year, the Bulldogs beat Murray State in the first round but were upset by Southern Illinois in the second round. 2002-03 was Harrick’s third and final season at Georgia. We all know how this one ended. Allegations of academic fraud and other violations resulted in Harrick being fired by UGA resigning. The 2002-03 team, led by Jarvis Hayes and Rashad Wright, would have gone down as one of the best ever. They were lined up to possibly win the SEC Tournament and receive a high big to the NCAA Tournament. But UGA President Michael Adams and AD Vince Dooley withdrew the team from both tournaments. As a result of Harrick’s actions or alleged actions, UGA hired Dennis Felton from Western Kentucky. Felton was known as a disciplinarian and had led the Hilltoppers to three straight NCAA appearances. Felton’s coaching style and methods didn’t fare so well at Georgia. His team’s records were 16-14, 8-20, 15-15, 19-14, 17-17 and 12-20. The lone bright spot was the miraculous run his team made through the 2008 SEC Tournament, winning four games in three days. After receiving an automatic bid to the 2008 NCAA Tournament, Felton’s only bid at UGA, the Bulldogs exited quickly after a 73-61 first-round loss to Xavier. Felton backed up the SEC Championship season with a 12-20 record in 2008-09. He was then fired in favor of Nevada head coach Mark Fox, a longshot hire made by former AD Damon Evans. Fox’s rebuilding job was likely greater than any of his predecessors. His first season resulted in a 14-17 record and no post-season tournament. But the product on the floor was much better than under Felton. Now here we are in 2011. After last night’s loss, Georgia is 14-5 overall and 3-3 in the SEC. After reaching national prominence a couple of weeks ago, the Dawgs have fallen down a little. They just need to get back up and finish the close games. The future looks brighter than it has in a long time with Fox at the helm. 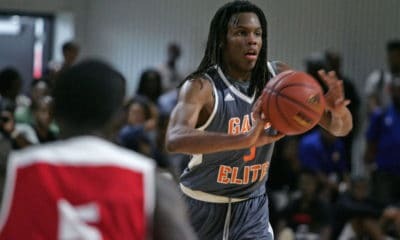 UGA should sign or extend Fox’s contract to keep him here for awhile. This would bring some much needed stability to the program. 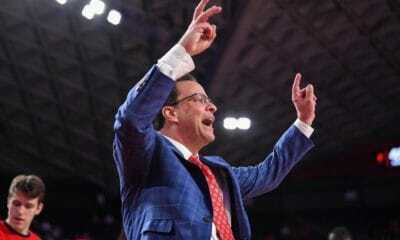 Fox has already proven that he can attract top recruits, and he can coach a good game of basketball too. Hopefully the kicks to the groin will soon become a thing of the past. Or at least hurt less. 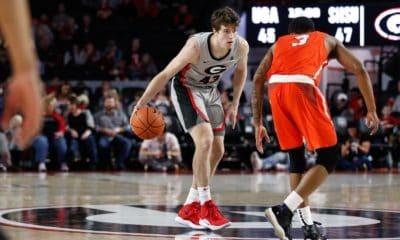 What do you think about the current status of Georgia Basketball? Let us know in the comments below.